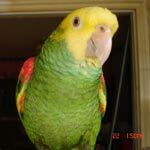 Parrot Forum • View topic - two macaws in attic? Re: two macaws in attic? That is one that throws up a red flag. If it was me, and we all know I can be really nosey when I think someone is in danger, would contact the person as a buyer just to see for myself. Don't go alone. You have to protect yourself in this scary age we live in. What good would that do, Liz? What can she possibly do even if the birds are been kept in a small space? She can't call the authorities because that's not cruelty (birds are kept in cages which are much smaller than an attic) so, unless she is willing to buy the birds, going there has no real purpose. Pajarita wrote: What good would that do, Liz? What can she possibly do even if the birds are been kept in a small space? She can't call the authorities because that's not cruelty (birds are kept in cages which are much smaller than an attic) so, unless she is willing to buy the birds, going there has no real purpose. Its better than doing nothing Pajarita at least its something. Did any of you log onto hartford craigslist to view the macaws? To give an opinion. I called animal control but they said though its not the best, its hard to tell based on one photo. And that its legal to confine a paroot to cage. Problem i have is there are more cages than the two macaws. Breeding perhaps? It looks like dank conditions in a rooom not much bigger than the cages they are housed. Its sick. Then a woman posted on face book that she knew the owner and she was knowledgeable and caring. A woman accused me of being judgemental. But, for those with no voice its better safe than sorry. I could try and go with someone to get a better look! Maybe try to push for action. I wish there were laws around breeding... I was given a number within my town to call. I was also hoping someone might see this and perhaps live close by where they could adopt. At least, i alerted authorities. Yes, I did. You are talking about the GW and the B&G, right? Yes, the ceiling is low so it could be an attic or a basement but the cages are big, there are no rust spots on them and appear to be clean, the birds are not plucked and their plumage doesn't look ratty or greasy. 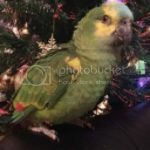 The woman is asking for somebody with experience for both of them, says the rehoming fee is 'small', that they are both well socialized and one of them is even eating produce so, for what I can see, these birds don't seem to be abused. And, yes, there seems to be more cages in the back of one of the pictures but that doesn't mean the woman is doing anything illegal or even that she is breeding - for all you know, these are her own pets (breeders are not 'socialized' at all) and she is now trying to reduce the number of birds she keeps. Is the situation ideal? Most likely it's not. But then, if you think about it, no pet parrot has an 'ideal' situation. Personally, I would not even keep a macaw unless I had a huge house with a 30 ft long room so it can fly but people keep them in NYC apartments, caged all day long, alone, under a human light schedule and eating pellets - all things I consider mediocre to bad care so, obviously, what I consider good care is not what one would call a consensus among parrot owners. And, what can you do if you go there and find the conditions less than what you think is ideal? You have no legal recourse because, under the law, there is no cruelty involved so what kind of action would you push for? Find a rescue that is willing to buy the birds from the woman? I doubt you will because rescues are always short on cash and have way too many birds to begin with to go out and buy more. You could buy them, have them both given a good health certificate (which is costly because they need to be tested for a few contagious diseases) and send them to a sanctuary (if you find one that will take them without a donation of thousands of dollars) or a rescue... but you would not even know if the birds ended up in a good home or in one just like this one. It was an add. To me this feels like a scam but I would still do it. Not alone. There was a guy in Kentucky with a pair of Greys he wanted to rehome. He fell on hard times and could not keep them. After a few emails he said there is no charge for the birds but that I had to pay the shipping and to pay it to _______. I told him I did not believe in shipping living things that I would drive to get them. I never heard from him again. No, it doesn't look like a scam. Both pictures show the same room and they were two separate ads plus it's a local person - and there was a lady who said she knew the owner and she was a good woman. The point I am trying to make is that, unless you are willing and able to actually buy the birds, there is no point in going there. All you are going to do is either upset yourself, antagonize the owner or reduce the chances of the birds finding another home.